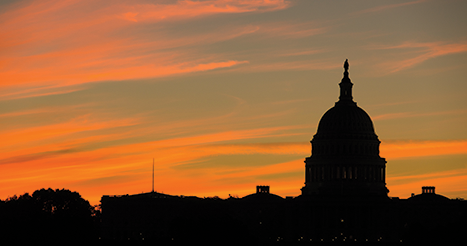 At the start of each new year, it is customary for thought leaders in Washington’s policy world to share their predictions about the issues most likely to dominate the debate in their field over the coming months. Education policy makers commenced prognosticating in early January — right on schedule — and many of the issues they identified were, in my view, right on the money. Although I know I’m fashionably late to the party, I’d like to offer a list of topics that are almost certain to be front and center in Washington — and one that should get our attention but likely won’t. Of course, the ongoing implementation of the Every Student Succeeds Act (ESSA) made everybody’s list of things to watch in 2018. After a year of planning, it is go time for the states whose ESSA plans have been approved by the U.S. Department of Education. If you are interested in the weedy details of state plans, I recommend the excellent independent review done by Bellwether Education Partners (Aldeman et al., 2017). As states begin the hard work of turning plans into action, districts and schools now have a good bit of freedom to chart their own course after years of following guidelines and models dictated by the Department of Education. Some districts will relish the opportunity to do things their way, but others will likely falter. After all, autonomy is valuable only to the extent that you have the capacity and resources to do something productive with it. For me, those two issues — capacity and resources — will determine the success of local school improvement plans. As long as Betsy DeVos is the secretary of education, school choice will remain at the forefront of policy discussions. Some see the school choice movement as a slowly rising tide that will eventually wash over all public education systems, leaving a path of wreckage in its wake. For others, it is the best response to years of lagging test scores and failing schools. Like most everything in education, the issue is far more nuanced than the debate. If Secretary DeVos had hoped to lead a reasonable, consensus-driven conversation about school choice in the United States, she hurt her chances right out of the gate with a harsh appraisal of the nation’s public schools (who could forget her “mundane malaise of public school” comment?) and a clear message that, in her corner, school choice was the only way to go. That, coupled with her connections to various for-profit education entities that stand to benefit from more choice-driven school systems, pretty much destroyed her credibility as a thoughtful, impartial leader of a high-stakes debate. Ardent choice advocates like DeVos do themselves a disservice when they paint it as the answer to every problem in public education — that is truly unfortunate because we should be having conversations about school choice. With New Orleans and Washington, D.C., serving as the nation’s largest case studies, and other international examples as well, there is now a robust enough evidence base to inform a far more sophisticated discussion about choice. I would like to see the conversation move toward a more productive place that takes into account all the implications of introducing choice into traditional public school systems, not just the potential benefits for some students and families. Career and technical education (CTE), which has been undergoing a 21st-century transformation in some states and districts, will take center stage at the federal level in 2018, but to what end remains a mystery. Lawmakers on both sides say they want to reauthorize the Carl D. Perkins Career and Technical Education Act (also known as Perkins), but so far only the House has voted on a bill that would reauthorize the law. We will see if the Senate takes it up early this year. While policy discussions about CTE have evolved over the last decade, there is still a tendency to frame the issue as being about going to college or not. This small-minded approach is unfortunate because there is room under the CTE umbrella for all kinds of interesting programs and partnerships. One creative approach would be to think about how Perkins and the Higher Education Act (also on the docket for reauthorization) could work together to address issues like the skills gap, postsecondary college costs, and college completion rates. Ultimately, I think states will lead the way on this issue, pursuing avenues such as partnerships with local industry leaders and hybrid programs that combine education and training for high-skill jobs and careers. I hope that Congress and the Department of Education will pay attention to their efforts and incorporate some of their best practices into the reauthorized versions of these important laws. Several other issues (personalized learning, racial disparities, the effect of cell phones on student learning) will also be under the spotlight this year, but one issue — despite its profound impact on students and families — will likely remain unaddressed. Recently, the U.S. Commission on Civil Rights (2018) issued a 150-page report that paints a stark picture of the funding inequities that exist among state education systems. The report explains how these differences combine with segregated neighborhoods and pockets of concentrated poverty to create an unequal landscape in which some students have access to an excellent education and others receive far less. The unfairness of U.S. public school funding formulas is often treated like a dirty little secret. Despite my professional knowledge of school finance, reading this report was painful. It is humbling to be reminded of how many students over the years have persevered in their education despite these inequities. The unfairness of U.S. public school funding formulas is often treated like a dirty little secret, but this report makes the disparities clear. One positive note is that federal law now requires school districts to publicly report on per-student spending at the individual school level, not just at the district level as previously required. This means education leaders and the public will now have access to detailed school-level financial data. This window into how public schools are funded and what they spend their money on should help educators, parents, and the public see how differences in resources and spending affect student outcomes. One hopes that a more transparent system will motivate federal leaders to do more to ensure that all students are indeed educated on equal terms. The report offers some recommendations for moving toward a more equitable system, but I’m skeptical that we’ll make progress on this important issue under a Trump administration. Citation: Ferguson. M. (2018). What’s on the horizon for education policy? Phi Delta Kappan 99 (6), 72-73.